Confucianism is Chinese generations of very important method of social life, even ruling a nation. Most of the highly educated or successful chinese who have a highly social status are very understanding and respected Confucianism. And the strength and tenderness become a perfect balance in Confucianism. The owner is unmarried, extremely high educated, modest, and very smart! So this design is all around the topic above. The balance of modern luxury and low profile is the core issue. It's very important that the early communication with the owner. Make the Confucianism main thought into this project by using the right materials, such as strength = black cold steel, tenderness = warm painted wood. Located in Egal Harbor ,Haizhu District ,Guangzhou,Guangdong ,China.The project is finished in January, 2016. Wood, Gray stone, Black matel, Cement. The origenal acreage is about 250 square meters inner space. According to the requirement it has to be rised up to 300 square meters inner space by transforming one of the two big balconies. Confucianism, Low profile, Cement, Wood, Steel, Chamming, Gray, Hay, Moroso, Hansgrohe, Axor. 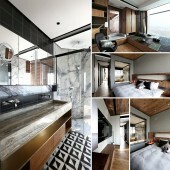 Strength and tenderness, rigorous and loose, decoration scale and furniture. To build a whole wall high and lenth black steel bookshelf. It has to be practical, express setup. All the thing I set in this project are useful, left all the things just being good looking. Have to find a mathod to creat the cement looking like ceiling but not really cement. Great TAC Design & Consultain,2016. The host of this apartment is a male, about 40 years old, unmarried, high educated, modest, and very smart! And this project is used for personal only. He lives with his parents as a good son. And he spends a lots of time to work in his house. So here is a reading room as a work space for him connected with the living room. 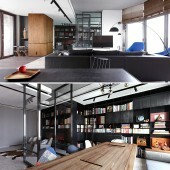 Confucianism House Private House by Tacco Lee is a Nominee in Interior Space and Exhibition Design Category. · Click here to register today inorder to be able to view the profile and other works by TACCO LEE when results are announced. Confucianism House Private House by Tacco Lee is Winner in Interior Space and Exhibition Design Category, 2016 - 2017. · Press Members: Login or Register to request an exclusive interview with TACCO LEE. · Click here to register inorder to view the profile and other works by TACCO LEE. 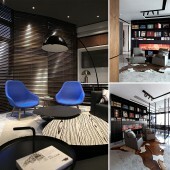 Did you like Tacco Lee's Interior Design? Did you like Confucianism House Private House? Help us create a global awareness for good interior design worldwide. 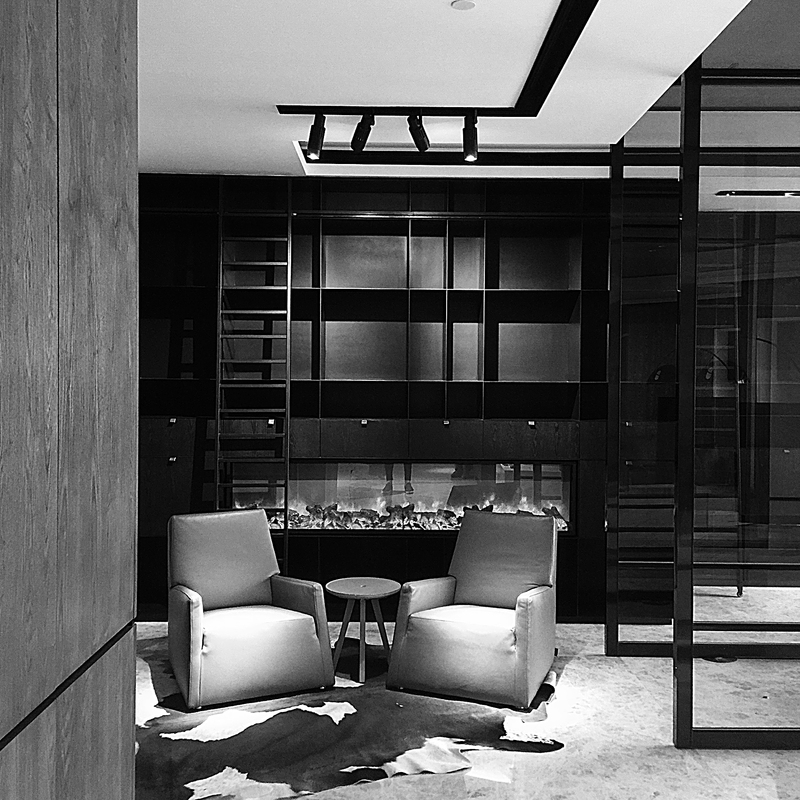 Show your support for Tacco Lee, the creator of great interior design by gifting them a nomination ticket so that we could promote more of their great interior designs.